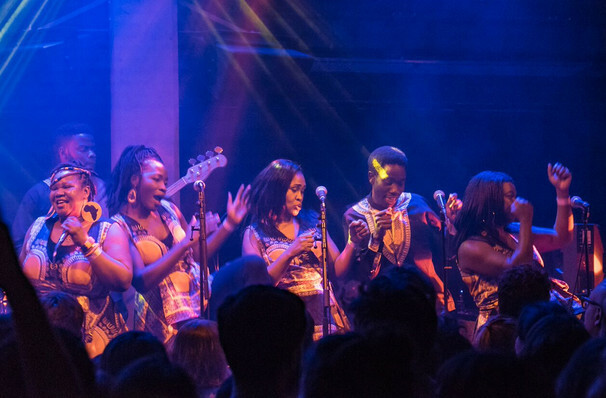 The London African Gospel Choir are clearly onto something good with this show, and the high expectations are more than matched by their performance. Why See London African Gospel Choir? 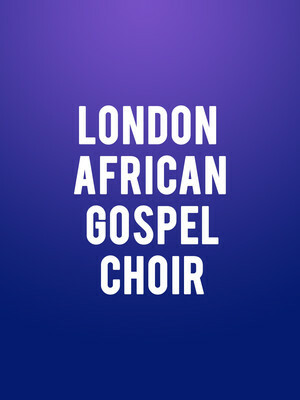 Hailing from a myriad different countries in the African diaspora, including South Africa, Ivory Coast, Zimbabwe, Jamaica and Uganda, the members of world class vocal ensemble the London African Gospel Choir are united by their faith and uplifting gospel music repertoire. The critically acclaimed 16-strong ensemble marks their first ever US-wide tour by performing Paul Simon's Anglo-African masterwork Graceland, welcoming special guest DJ The Duke Of New York who'll be spinning remixes of the album during their hotly anticipated North American debut. Having first sold out London's Jazz Cafe for a special one-night-only performance to commemorate Graceland's 30th anniversary, the LAGC went on to tour the smash hit success program throughout the UK, further bolstered by live appearances with the Soweto Gospel Choir, Mumford and Sons and Tom Jones. Aside from the albums infectious pop undertones, southern African grooves and soaring choral harmonies, the ensemble gives an effervescence to traditional gospel tunes and and prayer medleys with artful crescendos, heartfelt solos and a passionate spirit that makes them simply mesmerising to watch. Seen London African Gospel Choir? Loved it? Hated it? Sound good to you? Share this page on social media and let your friends know about London African Gospel Choir at NYCB Theatre at Westbury. Please note: The term NYCB Theatre at Westbury and/or London African Gospel Choir as well as all associated graphics, logos, and/or other trademarks, tradenames or copyrights are the property of the NYCB Theatre at Westbury and/or London African Gospel Choir and are used herein for factual descriptive purposes only. We are in no way associated with or authorized by the NYCB Theatre at Westbury and/or London African Gospel Choir and neither that entity nor any of its affiliates have licensed or endorsed us to sell tickets, goods and or services in conjunction with their events.